In December of 2012, Boston.com reported that a fund had been set up to help a Lexington family that was involved in a single car crash. The crash involved a couple and their two children and the fund has been set up to help the family pay for transportation, travel and non-reimbursable medical expenses. The story of the crash and the subsequent fundraising efforts is an important reminder that single vehicle accidents can be very expensive. 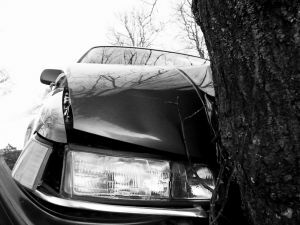 Our Foxboro car accident attorneys urge drivers to ensure they have sufficient insurance to protect themselves in the event that they are involved in a single vehicle crash. We also urge drivers involved in single vehicle accidents to understand that there may be situations where a third party can be held responsible for the cost of resulting injuries. Single vehicle crashes involve car accidents where only one car is involved. These crashes may occur for any number of reasons. A car may veer off the road, for example, due to ice or snow. A car may become involved in a single vehicle crash due to a defect in the vehicle or as a result of a pothole or road debris. Collisions with animals, especially deer, are also very common single vehicle accidents. When a single vehicle crash occurs, the injuries can be just as serious as the injuries resulting from a multi-car wreck. In the accident reported on Boston.com, for example, the man involved in the crash suffered two broken legs and a crushed hand, making it impossible for him to work for at least three months. The couple’s 15-month-old baby involved in the crash also suffered serious injuries, including spinal and neck injuries. These injuries can be very costly to treat, especially at a time when the adults in the family are unable to work. Unfortunately, after a single vehicle crash, there is no other driver to take legal action against to get damages and get the bills paid. The best way to protect yourself against the costs associated with a single vehicle crash is to make sure you have adequate auto insurance. This includes buying insurance coverage that provides you with payment for medical bills and care. Massachusetts is a no-fault insurance state, so personal injury protection (PIP) insurance is required. This means you should have at least some coverage for injuries and partial lost wages. However, buying more than the minimum in coverage may be advisable so you do not end up facing financial struggles if a single vehicle wreck occurs. The accident may have been caused by a defect in the car and the car manufacturer could be held responsible. The accident may have been caused by poorly maintained roads and the entity responsible for road maintenance could be held responsible. If a third party was at fault for the accident, it may be possible to file a lawsuit to make that third party pay for the costs of your medical care, lost wages, pain and suffering, emotional distress and other damages arising from the single vehicle wreck. If you or a loved one has been injured or killed in a single vehicle accident, contact Jeffrey S. Glassman for a free and confidential consultation to discuss your rights. Call 1-877-617-5333.